that you've never heard of: the International Championships of Barbershop Harmony. Nominated for International Documentary Association Best Music Documentary award. "It crushes American Idol boys. Barbershop is where it's at." Awesome Joe Connelly. NOW AVAILABLE FOR PURCHASE ON DVD! 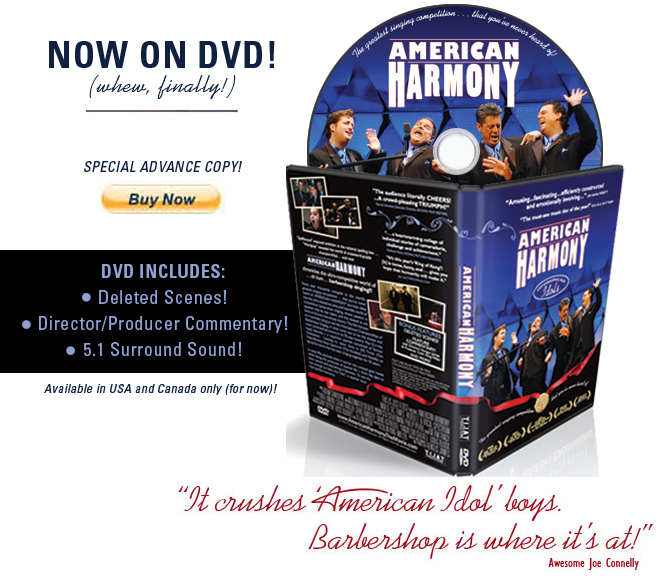 BUY AMERICAN HARMONY NOW!